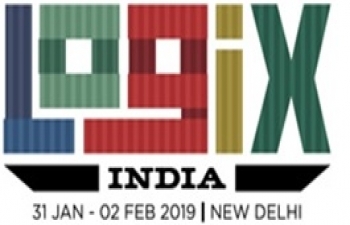 The Federation of Indian Export Organisations (FIEO) under the aegis of the Department of Commerce of the Ministry of Commerce and Industry, Government of India, responsible for promoting India’s exports, is organising Logix India 2019 - International Buyer Seller Meet, which is scheduled to be held from 31 January to 02 February 2019 in New Delhi, India. With a view of the fact that India is now one of the fastest growing economies of the world, and in order to create an Effective International Trade Logistics, Logix India 2019 will act as a Game Changer for enhancement of India’s logistics linkages for International markets, offering a comprehensive 3 days business agenda for the global logistics players, who would like toestablish trade partnerships with Indian counterparts. Logix India 2019 will focus on Challenging Markets with India’s trade potential and where superior logistics could improve trade. Activities at Logix India 2019 will include Business Conferences and Workshops, Investment Opportunities Showcase, Buyer-Seller Meetings and Display Area. Overseas Logistics companies, leading international freight forwarder companies and service providers are invited to visit Logix India 2019 as the Hosted Buyers. All approved candidates will be offered a Return Economy Class Ticket, two nights hotel stay in a 5 Star Hotel, as well as the meetings with Indian counterparts to explore partnership agreements and business networking opportunities. All applicationsas the hosted buyers will be reviewed by the organisers, and decision will be informed by December 15th 2018. Mr. Aechala Upadhyaya David, Project Coordinator - Logix India 2019 (Mob. +91 98736 64015, E-mail: logix-india@fieo.org) may be contacted for any further information in this regard and submission of nominations. More updates on the event are available at www.logix-india.com.